Reimagining SeaWorld: An Open Letter To The New CEO_REPOST!!! When news broke last week that SeaWorld CEO Jim Atchison was resigning, a friend emailed and asked if I "was surprised?" I replied: "Yes. Surprised it took this long." You see, to say SeaWorld is "embattled" is sugar coating it. After the company went public in April 2013, revenue has fallen, attendance has dropped and their stock drove itself right off a cliff. Looking into the near future, they are saddled with huge debt, have multiple pending class action lawsuits and California lawmakers are studying a proposed bill which would outlaw "circus type performances" at marine parks. With the continued popularity of the acclaimed documentary Blackfish, SeaWorld faces a rising public backlash over how it treats its animals as well as its employees. An unabated social media presence has fueled a growing global movement against whale/dolphin shows and captivity in general. Even Atchison himself recently told Bloomberg Businessweek, "There is this broad sentiment toward prohibiting, banning, and outlawing zoos and aquariums - a lot of sensitivity around marine mammals in particular." With Atchison's departure, SeaWorld also announced widespread layoffs at its 11 parks. While this will improve their cost structure temporarily, it's probably one of the worst things they can do. It's the start of a negative vicious cycle. Layoffs kill the morale of the employees who remain. Layoffs mean less service. Visitors to parks feel the lack of attention and their experience suffers. Public spaces begin to look shabby or run-down, brand loyalty fades and attendance drops further. Then, the company resorts to discounts to draw visitors and margins compress. Repeat cycle. How could this happen at one of the world's most recognized brands? From my perspective, you have a management team and Board of Directors that became so wrapped up in the financials surrounding going public and the stock price, they failed to recognize they are trying to promote and crisis manage an outdated business model. It's like trying to sell a Vaudeville show when Guardians of the Galaxy 3D is showing next door. Wake up. Times have changed. Although some have suggested the Board of Directors is culpable - and are making Atchison "walk the plank" to save themselves with shareholders - this could be taken as a brave move towards a kinder, more durable, well-imagined future for SeaWorld. Hopefully, they seize the opportunity. Dear SeaWorld Board and Management Team, I'm incredibly excited to learn about SeaWorld's plans for the future. It's time to reimagine your relationship with animals, the environment and your customers. As you know, most of us don't accept that highly intelligent sentient beings, who swim up to a 100 miles a day, are happy living in a concrete tank performing tricks to music for entertainment. Even your (soon-to-be) former CEO recognized that the majority of your potential customers don't support captivity particularly for marine mammals. Next, it's insufficient to superficially paper over animal welfare and environmental impact by shouting about rescuing manatees, sea turtles and oil soaked birds. It feels like an inauthentic PR move. If you are a conservation company, it should be a given that you conduct rescue and we all appreciate it. You receive a lot of taxpayer money to do it. If you want us to believe you really care about the environment and natural habitats, you have to do much, much more. Heck, with their film Damnation, Patagonia is probably doing more for the Southern Resident Killer Whales than you are - and they are a clothing company. Finally, you must adapt your brand messages and open information flow. Your version of "scientific facts" may have been accepted before we had Animal Planet, NatGeo YouTube, GoPros, IMAX, drones, etc. But, today's families have more access to all kinds of media. Kids want to have a real relationship with you and learn, but you failed to adapt. Rather than having a two-way conversation and a thrilling experience, you tried to ignore your customer base and hoped they wouldn't ask in-depth questions. You misled. Bad decision in a world where anyone, anywhere can readily obtain information through a simple internet search or Freedom of Information Request. The question is: Do you want to manipulate your financials for stock price and follow the cigarette industry's lead by shipping your current failing model overseas? Or do you want real change? Do you want to be real innovators? A real entertainment company? A real education company? I live in Silicon Valley - the heart of innovation. What would innovators do with SeaWorld? What would the "Harry Potter of the Sea" be? What would someone with curiosity and an imagination like James Cameron do? What would game developers do? Wouldn't it be great to have a thrill ride down to the bottom of a virtual ocean? 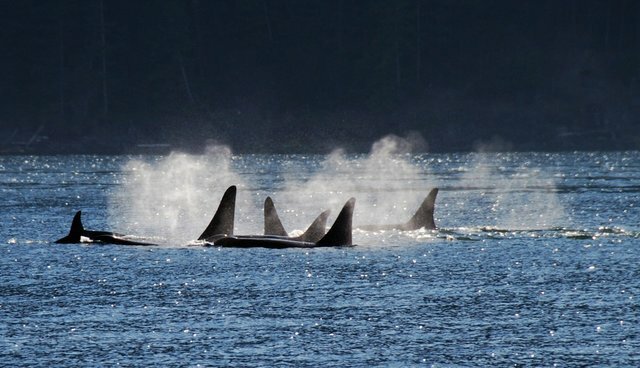 What if everyone could be an orca (virtually) rather than watch one in a concrete tank? What if your theme park rides were so incredible they inspired video games? Or movies, à la Pirates of Caribbean? Every bit of this is better than keeping animals in cement ponds and hiding from the public what happens to them when they are not in their natural habitat. There is really no point in doing that anymore. SeaWorld should lead the way in showing us what's under the water, not spend time worrying about damaging iPhone videos or trying to debunk Blackfish on Twitter.